Wedding bouquet memory charm. 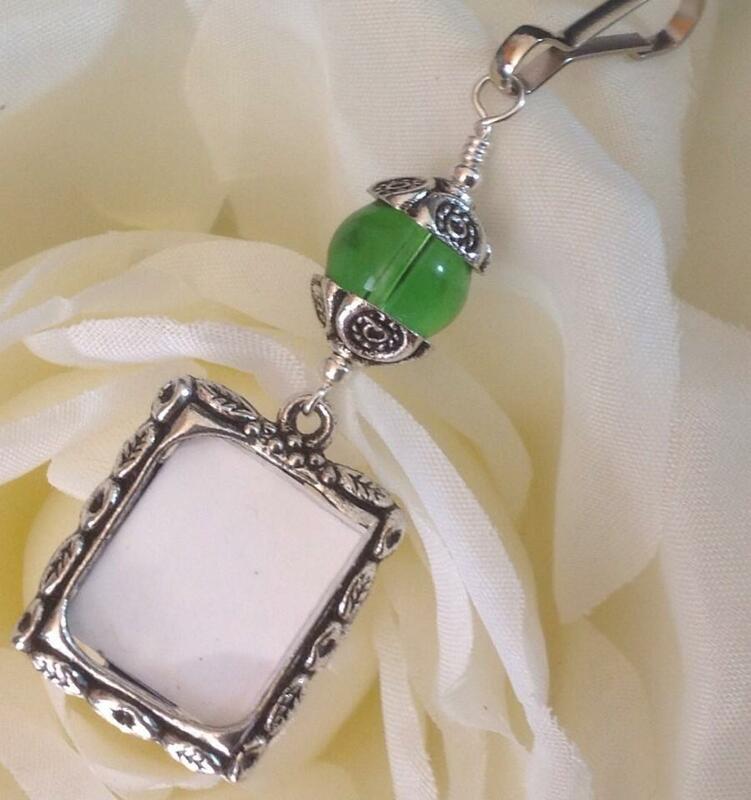 Emerald green photo charm. Bridal bouquet charm. Gift for the bride. Wedding keepsake. Picture for bouquet.